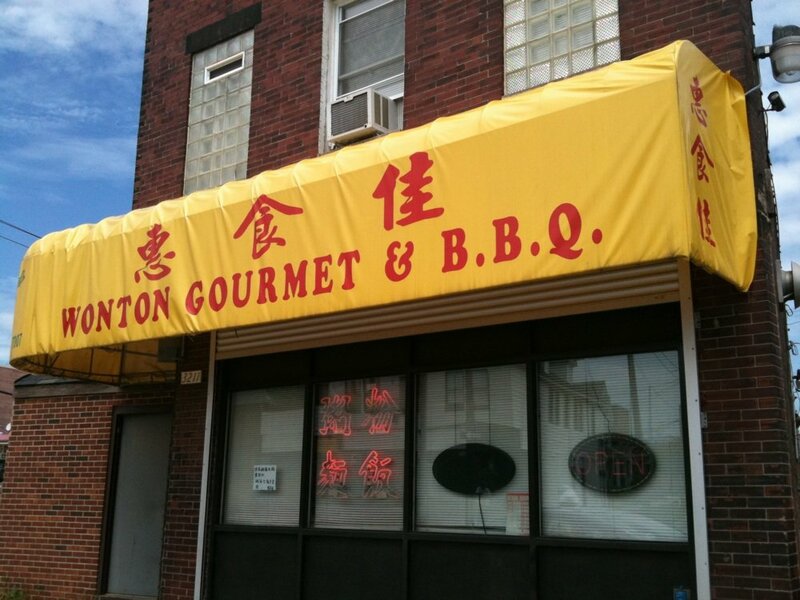 Wonton Gourmet is one of the best Chinese/ Cantonese/Hong Kong style restaurants in town. The neighborhood might be off-putting for suburbanites and the restaurant is nothing to look at on the inside, but if you like authentic Chinese food you really should give this a try. And I can assure you that the neighborhood is fine. I drive through here all the time. Parking is right outside and there’s closed circuit monitoring of the parking lot inside the restaurant, so I’ve never felt unsafe there. 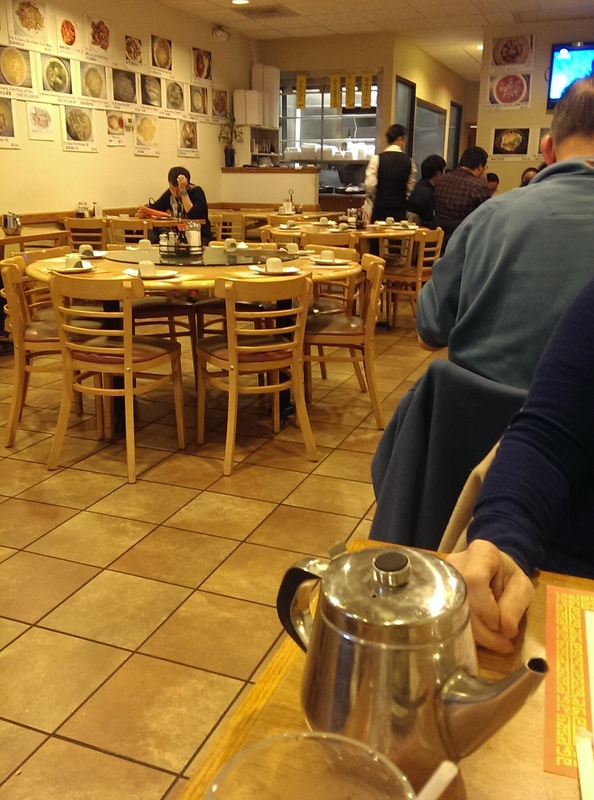 There is also zero ambiance, with enlarged photocopies of food hanging on the wall, paper place mats, and a TV playing loud Chinese shows in the back. But I don’t go there for the ambiance. People have talked about a decline in quality since a change in owners, but I hear it has improved again. I honestly can’t speak for how it was since I’ve only started coming here in the past two years, but my experiences at Wonton Gourmet have always been consistently good. It has menus, but m ost people rely on the photos on the wall to choose what they want. I suggest you order dishes you don’t find in most “Americanized” Chinese restaurants, because they really shine here. Everyone I know raves about their chive potstickers and turnip cakes. I’m the same. 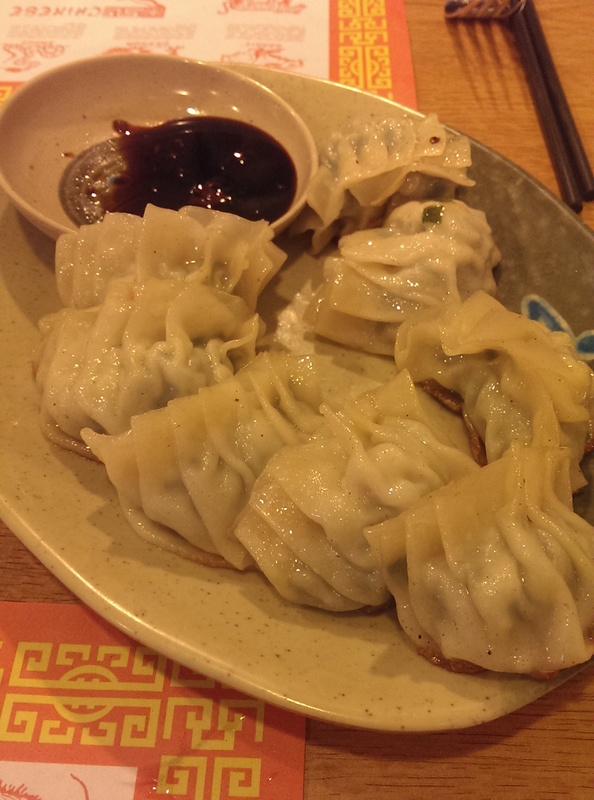 The chive potstickers are wrapped in a delicate wrapper and come with a delicious dipping sauce. It’s hard to limit yourself. 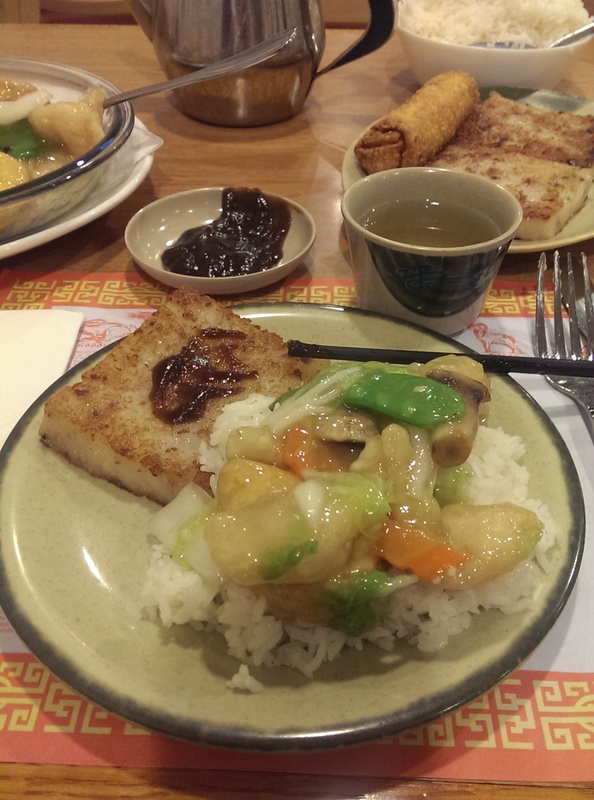 I also really enjoy the flavor of the turnip cakes very much. I think they are up there with Emperor’s Palace’s version. They are creamy and flavorful and reheat really well, so don’t feel bad ordering them if you are eating alone. T he entree I order the most often is the fish fillet with jade tofu. Jade tofu is a silken egg tofu that is fried on the outside and soft on the inside. That tofu is amazing, with a golden yellow color and creamy consistency. I’ve included a photo of my leftovers with a cross section of the jade tofu to show you how lovely it is. I also love the fish fillets that accompany the tofu. It has a nice little crunch to it despite the sauce, and the fish is just very flavorful. The vegetables also pair really well with the dish. Normally my favorite vegetable in Chinese cooking is the sweet pea pod, but in this dish I love the Chinese cabbage. Yum! You also can’t go wrong with any of their salt baked seafood. I ordered the salt baked tri-seafood the other day and it was exceptional. Perfectly baked fish filet, shrimp, scallop and calamari with just the right amount of breading. Very flavorful. The Hong Kong deep-fried pork chops in Beijing style were also delicious. Lots of meat with little bone and tender as can be. I’m not a huge fan of their wonton noodle soups. They come with wontons and ramen noodles and you can add brisket, roast pork or roast duck. In fact, the 3 Flavor Shrimp Dumpling soup has three different delicious shrimp wontons. I love wontons, but the broth doesn’t appeal to me. I think it tastes a little musty, but I know plenty of people who love it. I went here the other day with a friend and split the fish fillet with jade tofu. 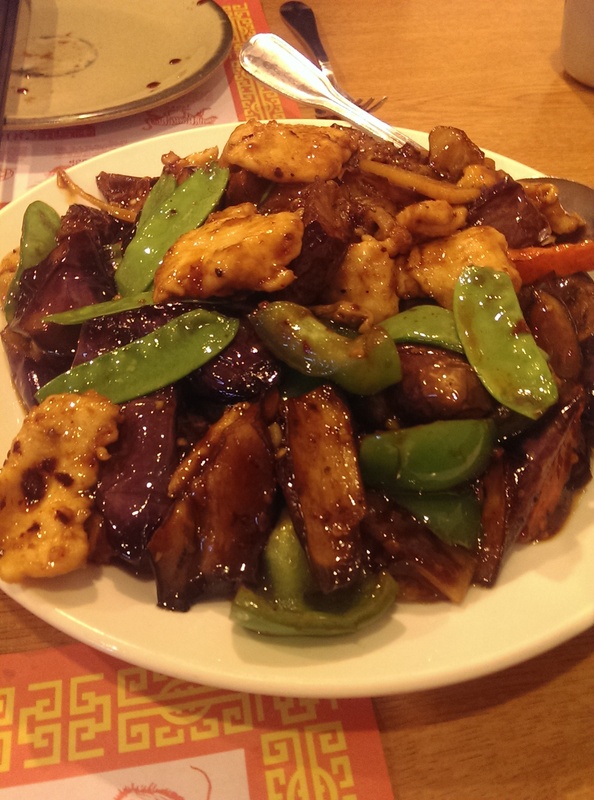 We needed another entree and decided on the Szechuan chicken with Chinese eggplant. Wow, this dish was delicious. It was not as spicy as I thought it would be, and I just really love the Chinese eggplant stir fried in the Szechuan sauce. I loved the flavor of this dish and would order this again in a heartbeat. I’m looking forward to eating the leftovers. The photo below is the salt fish chicken fried rice. It was really good too! The tea is hot and flavorful, and the service is attentive without being overbearing. I honestly love the food here. I can’t vouch for what it used to be, but I certainly like it as it is now. Many of the clientele are Chinese, which is the sign of a good Chinese restaurant as far as I am concerned. So if you are looking for a good place to eat some authentic Chinese food give this place a try. If you prefer the Americanized dishes like General Tso’s chicken, egg foo young, chop suey or chow mein you can order it here too, but I highly recommend picking something that looks good from the photos on the wall. I guarantee you won’t regret it!